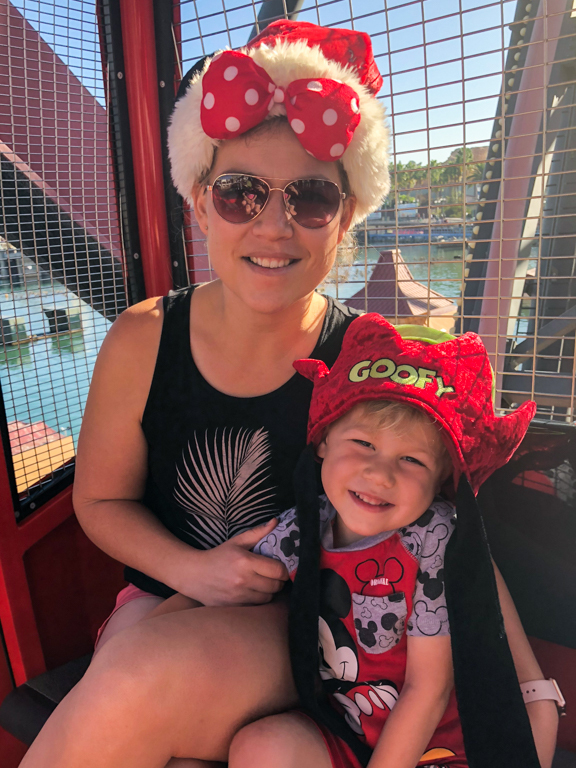 T and I happened to be off work on Friday and decided a Disneyland trip would be perfect. All the crowds are expected to show up en-masse next week, and we were hoping for a slow day today. The best hope for that is always to arrive before the park opens. Well we did our part, but the parking garage was backed up and it took 20 minutes from exiting the freeway to get to the booth attendant. 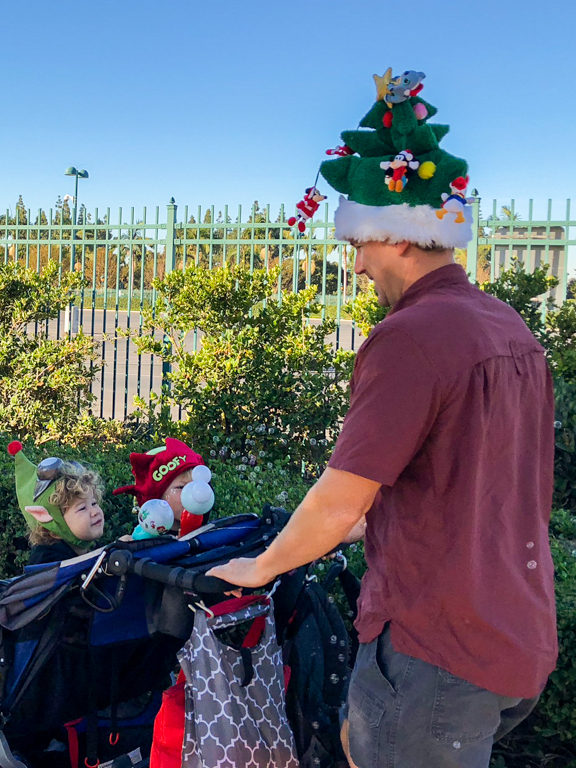 After parking and seeing the line at security, we decided to walk to the Downtown Disney Entrance, as the lines are almost always shorter there. With both bubble maces loaded, the kids gave me a face-full of bubbles on the walk over. Our first ride of the day was Mickey's Fun Wheel since Alli's been asking about it, even at home. There was barely a line when we arrived, and once it was time to get off there was no-one in line. We asked if we could stay and go for another round and were successful. 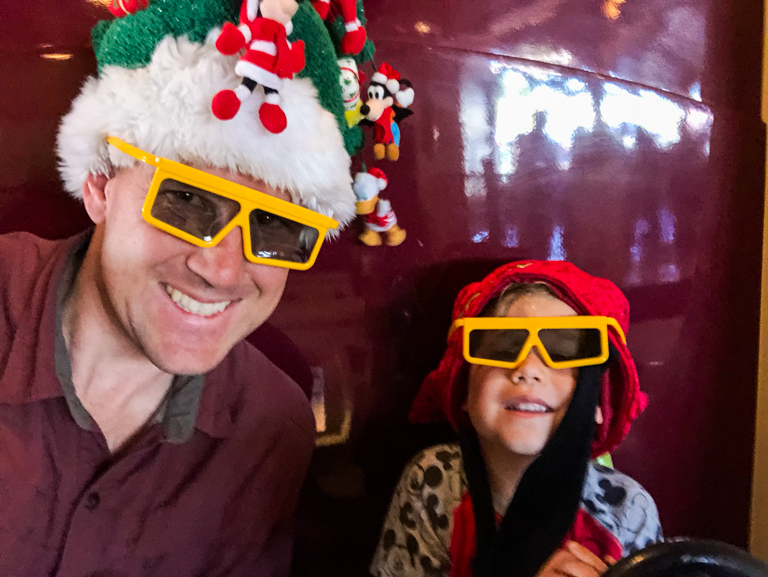 We'd grabbed fast passes for Toy Story, but the ride was down for maintenance all morning. Good thing those passes turned into anytime fast passes. 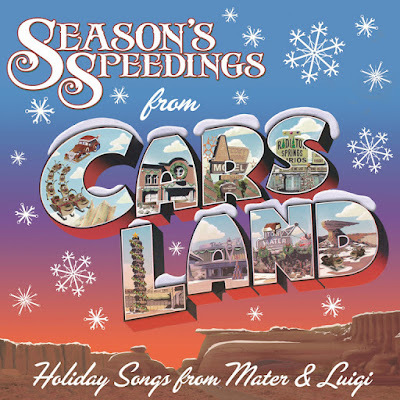 Off we went to Radiator Springs to the holiday version of Mater's Junkyard Jamboree, Mater's Jingle Jamboree. I'd mentioned previously how I love that they mix up the music for the holidays. 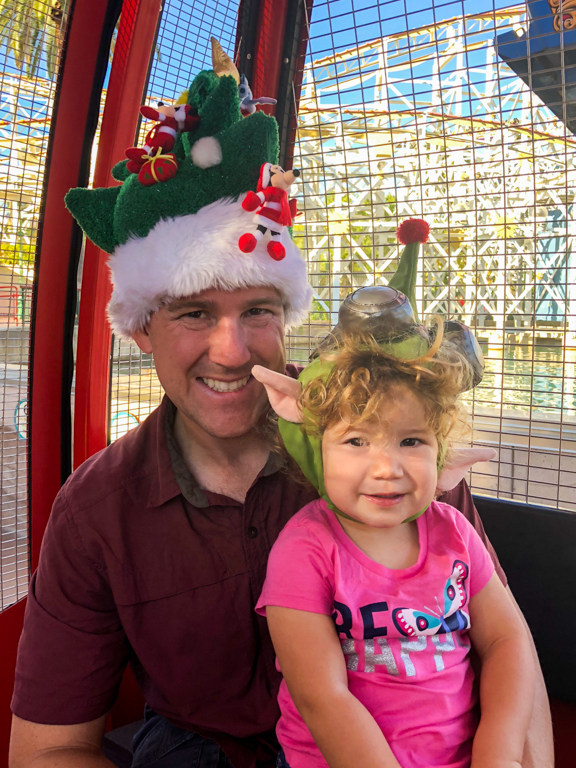 Both for Halloween and Christmas this ride got a new soundtrack. Determined to record it for the kids, I spoke with one of the ride operators and got permission to stand in the queue but not actually board the ride. I found a speaker pointed directly at me, held my phone up and started recording. About 25 minutes later I was fairly confident that I got everything. There are multiple songs that play, but they don't play in order, so even if you hear a repeat, there could be something new coming. After deleting the un-interesting bits, duplication, etc, that 25 minutes turned into about 11:30 minutes of useable stuff, including 5 songs, 3 ride intros, and a handful of jokes. And wouldn't you know it. As I was writing this up, I did a quick search. 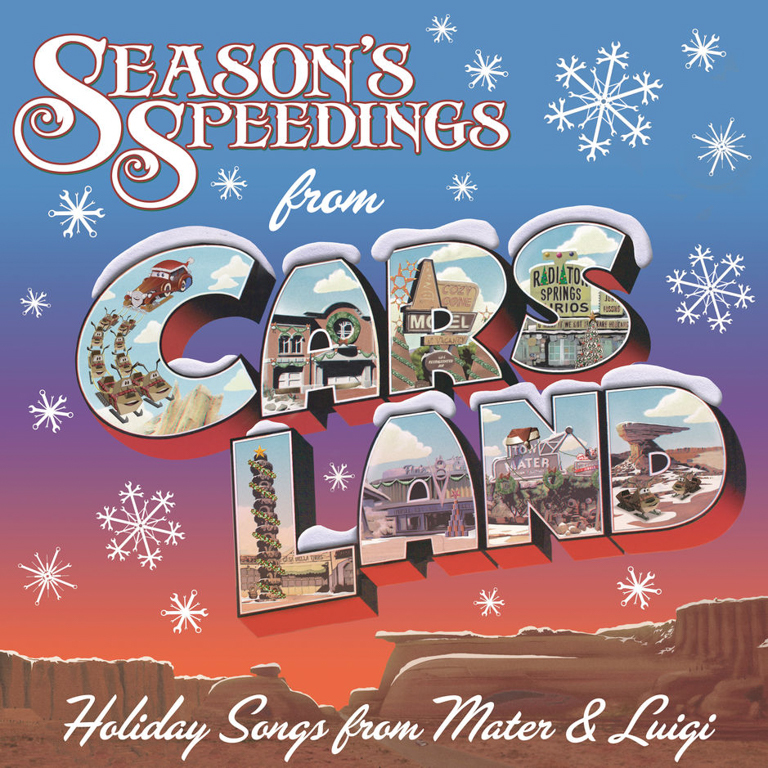 The Disney Music Group released Season's Speedings from Cars Land - Holiday Songs from Mater and Luigi also on December 15th, the same day I did the recordings. Figures. Well now I can get better quality copies of them. You can find the individual songs on the DisneyMusicVEVO channel here. While I was doing my recording, T took the kids over to Monsters Inc to take a ride through Monstropolis. 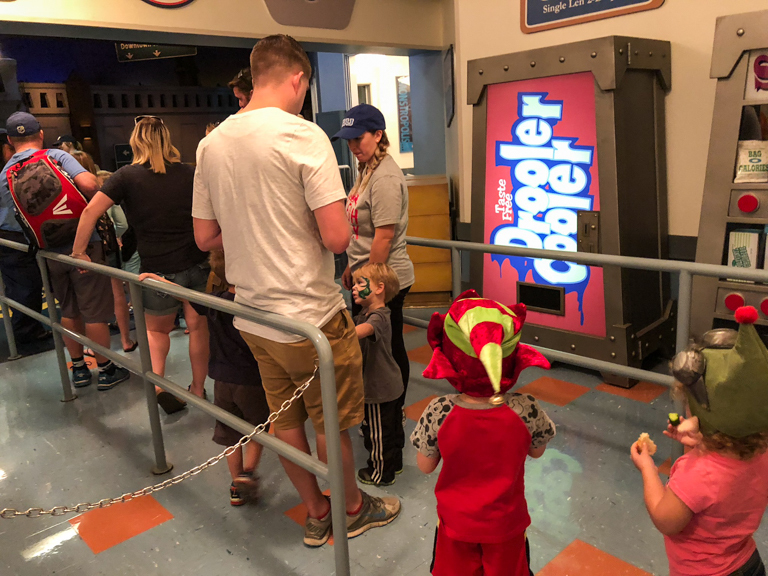 Seeing Toy Story was back up we crossed back over the entire park to use our fast passes. T posted her highest score yet, 295k. She'll break that 300k barrier soon enough. 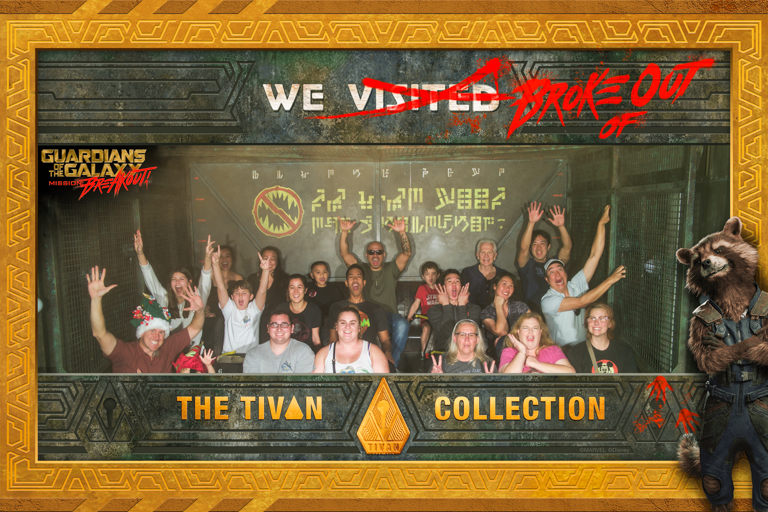 Given the choice between Guardians of the Galaxy and Radiator Springs Racers, Ian chose once again to visit the Guardians. 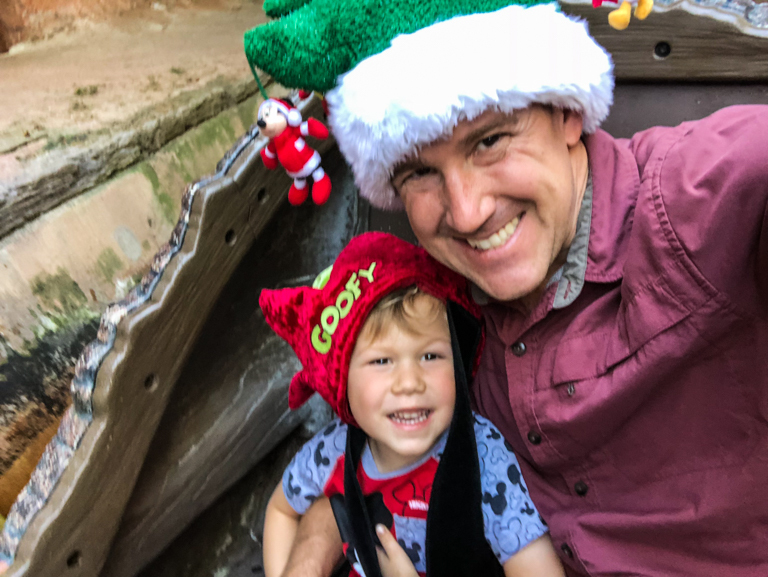 I love that he loves this ride. He still needs a few more inches to show up in the pictures apparently. 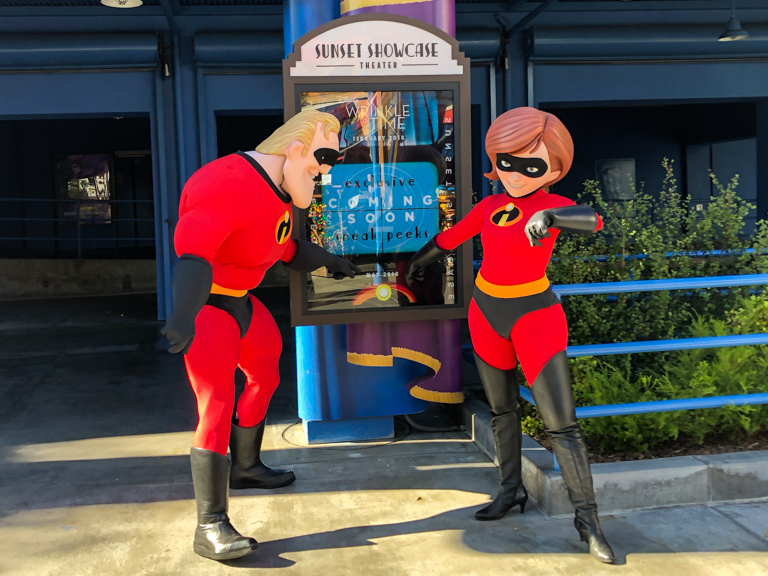 Mr and Mrs Incredible were out and about in the Hollywood backlot. They got our attention and we followed them over to the old Muppet Theater where they were excited to point out that Incredibles II will be coming out in June, with a sneak peek here in May. Time to go on more holiday rides. Over to Disneyland we went. 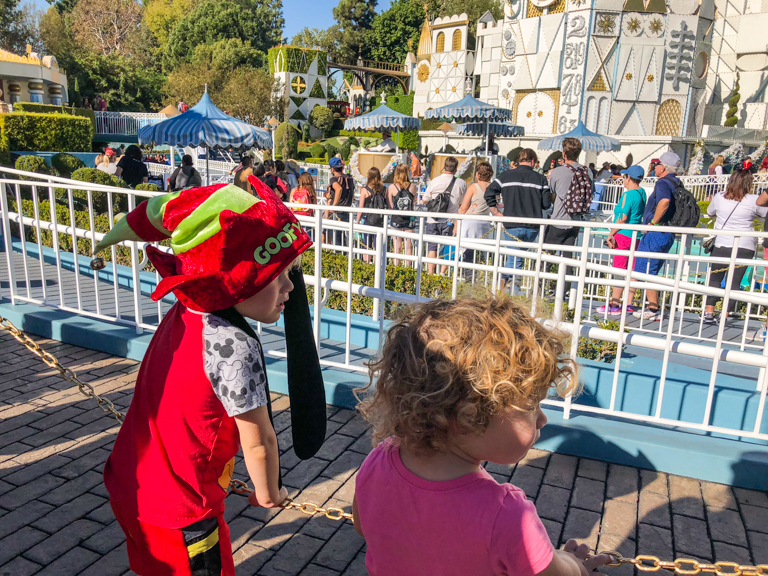 it's a small world was sporting a short line. Only 15 minutes or so. 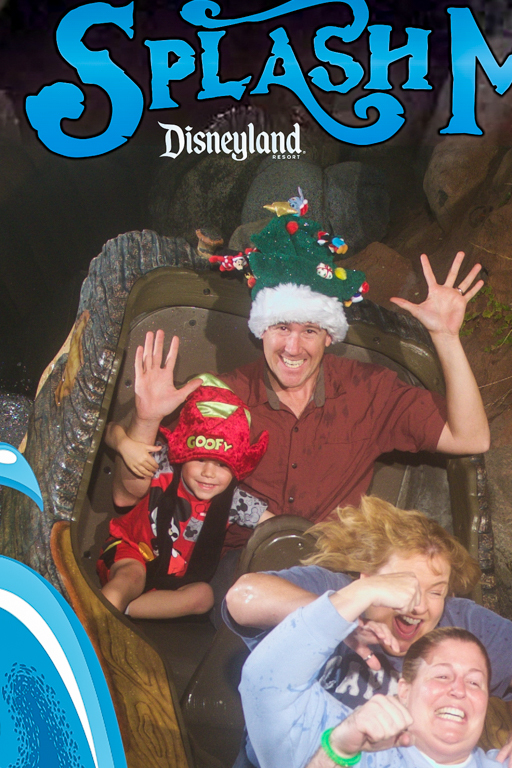 And after using our fast passes for Haunted Mansion Holiday, Ian asked who was going to ride Splash Mountain with him. Once again T said "your daddy will take you". And we even got a good picture. Well we could stay here longer, but there's even more fun things going on today. Tonight we're going to look at Christmas lights in our neighborhood with friends and family. Time to head home!